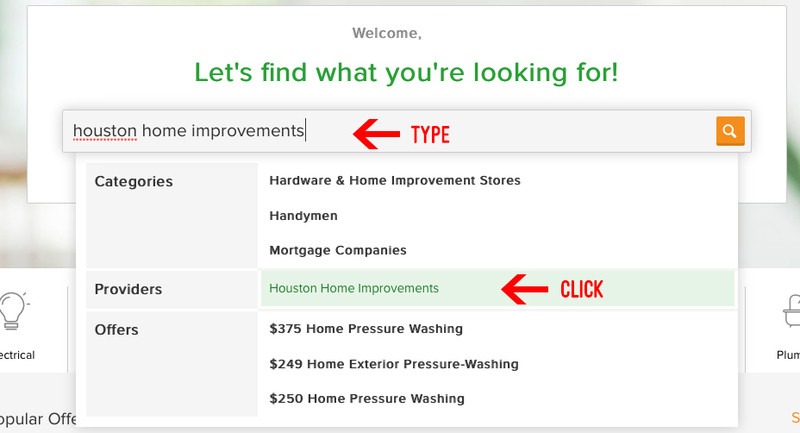 Click on the “Write Review” button on the previous page or click here. 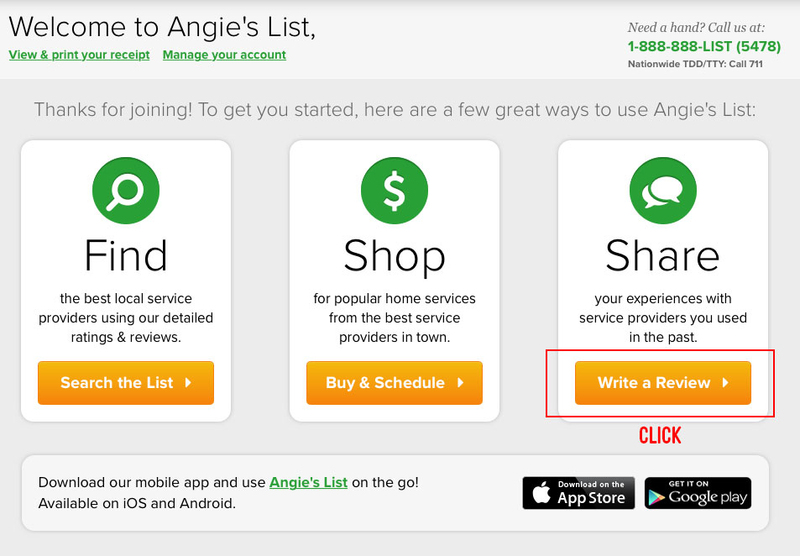 If you already have an account with Angie’s List, login to your account and write your review. If you don’t have an account, you can create one. It’s totally free! To begin, just click the “Sign Up” button. 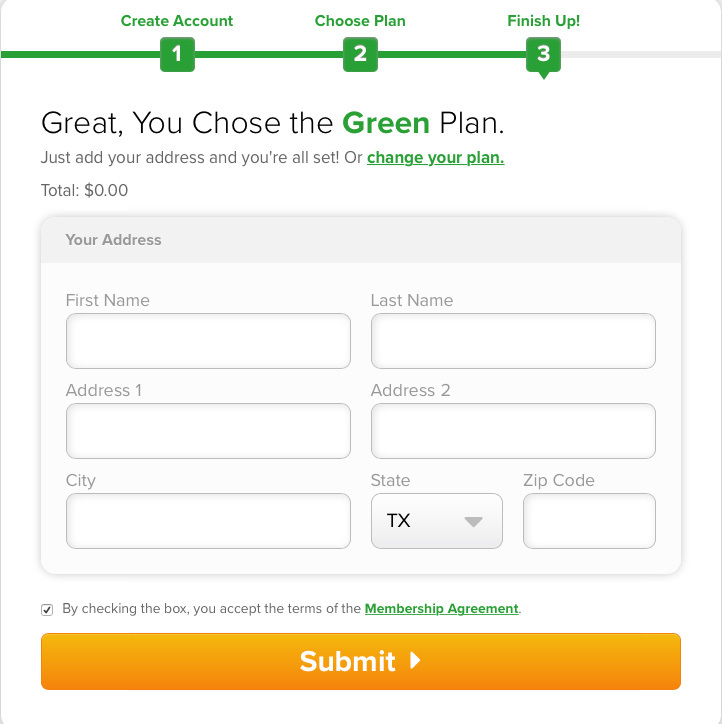 Choose a plan and click continue. 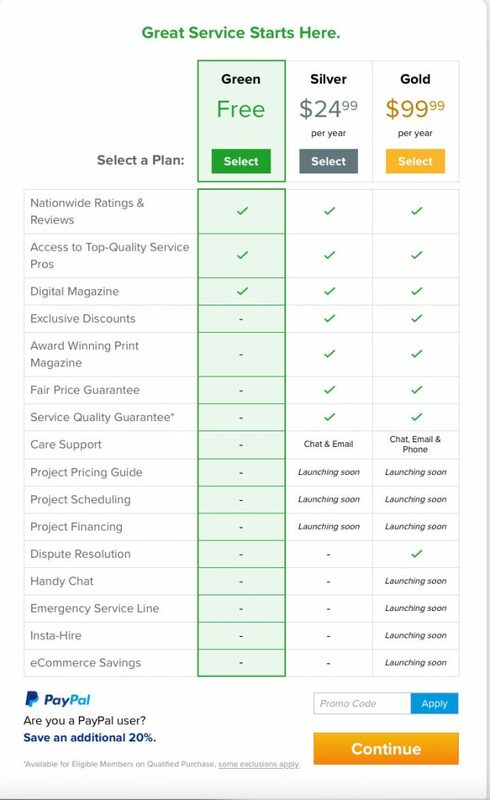 Note: The “Green” or “Free” plan will be enough for posting a review.